Re-imagining Ireland – with Wordsworth? When we think of William Wordsworth the landscape immediately conjured is that of the English Lake District. His connections to the area and his influence on the local culture are ever present, as the flocks of visitors to Dove Cottage and Ambleside will attest. What is much less celebrated is Wordsworth’s connection to the Irish landscape. The ‘Re-Imagining Ireland with Wordsworth’ project seeks to uncover and celebrate Wordsworth’s Irish connections. The most enduring of Wordsworth’s Irish links is certainly his friendship with Sir William Rowan Hamilton. 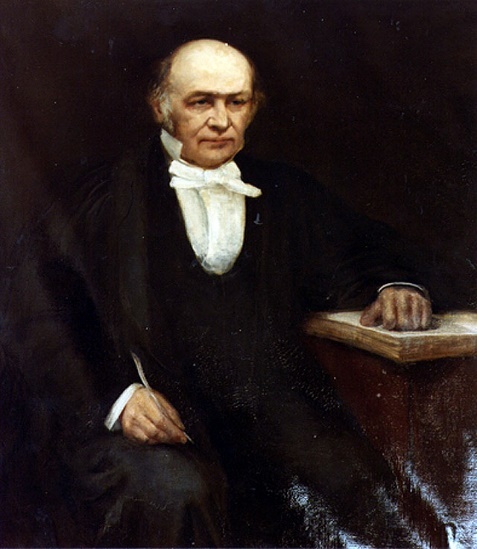 Born in Dublin in 1805 and educated there at Trinity College, Hamilton became Astronomer Royal in 1826 and from then resided at Dunsink Observatory at Castleknock. He first visited Wordsworth at Rydal Mount with fellow Irishman Caesar Otway in 1827, when he and Wordsworth became firm friends. This friendship would last until Wordsworth’s death, and in 1846 Hamilton proposed Wordsworth as an honorary member of the Royal Irish Academy, an honour Wordsworth greatly appreciated, chiming as it did with his interest in what he calls the “sister country” and how he has “in everything calculated to promote its welfare.” It was also in large part due to his friendship with Hamilton that Wordsworth resolved to visit Ireland, which he eventually did in 1829. He arrived in Dublin Bay on August 29th in the company of his friend John Marshall M.P. and Marshall’s son, also called John. After three days in Dublin they toured the coast of the island of Ireland, primarily in search of new inspiration for his poetry but also because of his interest in the social situation; his correspondence reveals a growing attentiveness to the deteriorating conditions on the island. There is an allusion to this same incident in another poem, ‘On the Power of Sound’, but beyond these sole references to a single moment off the Giant’s Causeway the Irish tour is absent from his poetry. As the Fenwick note to ‘Eagles’ makes plain, however, Wordsworth did not find the county uninteresting. Far from it. Whilst his poetry reveals little about his impressions of the Irish landscape, his time in Ireland is recorded in great detail through his correspondence. Throughout his trip, he wrote to his family at Rydal Mount and to his brother, and these letters disclose a much richer and more enthusiastic response to the Irish landscape than the lack of references in his poems might suggest. This might not be surprising. The Fenwick note to ‘Eagles’ implies that the time of year in which the tour took place and the pace of travel can be blamed for his lack of inspiration. The tour, admittedly, happened in the autumn, and was plagued by poor weather. He had also forgotten to bring his glasses, and complained of eye strain. This could explain the tone of his letters written during his tour, which is at times cantankerous, as he wrote to his sister: “The Irishwomen one meets, but do not repeat this, are never lovely, and scarcely ever handsome.” This grumpy disposition may well have coloured his perception of the landscape, and offer some indication as to why so little of his tour is reflected in his verse. But this is conjecture, and as the trip progressed he did show a real appreciation of certain parts of Ireland. He very much enjoyed the Counties of Wicklow, Kerry, and Fermanagh, writing that with Kerry he had been “most pleased, and by some parts almost astonished.” He is similarly animated about the Killarney lakes and about Carrauntoohil, the highest peak on the island: “Carranthouel [sic] as a mountain is a much sublimer object than any we have; and Killarney’s three lakes with the navigable passage between the upper and lower lake, take the lead I think of any one of our lakes, perhaps of any one of our vales.” Coming from Wordsworth, arguably the definitive Lakes poet, this is high praise indeed. It is unfortunate, then, that these landscapes did not find their way into his poetry. It is worth noting, too, that Wordsworth provides frequent thoughts on the people of Ireland in addition to the scenery. Writing from Cork about a third of the way into his trip, he expresses his disappointment thus far at the landscape, but does say that the Irish people “present a perpetual subject for thought and reflection.” His tour is punctuated by meetings with the Irish celebrities of the day. 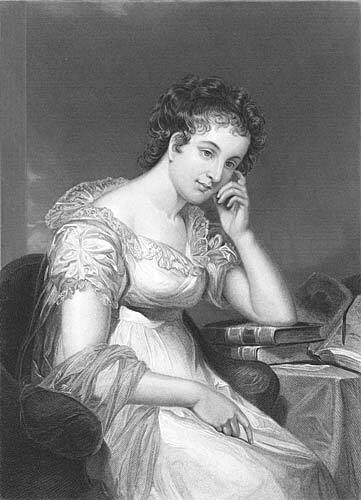 In addition to Hamilton who accompanied him to a number of locations he also met the Edgeworth family, including Maria Edgeworth, author of Castle Rackrent (1800) and Harrington (1807), whom he describes as “very lively” and she similarly offers a memorable description of him in a letter to Margaret Ruxton of September 27th (she deems Wordsworth to possess a “good philosophical bust”). Beyond his descriptions of Irish literary circles, though, his letters offer fascinating observations of daily life. His correspondence preceding his trip betrays a concern with the social situation in Ireland which his tour seems also in part intended to explore. In particular he appears particularly moved by an incident at St Kevin’s pool in Glendalough, a place Wordsworth calls the Seven Churches. A monastic settlement dating from the sixth century but ruined in 1398, Glendalough is a place of pilgrimage, and Wordsworth was greatly affected by a woman carrying her sick child to St Kevin’s pool hoping that this would cure its lameness, a ritual she had already performed three times. The fervent devotion of the Irish Catholic population is something that proves particularly striking for Wordsworth in his letters. As historical sources, then, the letters are rich in material reflecting both the social situation and, quite literally, the lay of the land. He describes visits to places that no longer exist, such as Shanbally Castle, and provides descriptions of places that have undergone major change since 1829. Strabane, for instance, he describes as “a thriving town.” He mentions in his letters to Dora and Dorothy on numerous occasions maps of Ireland held at Rydal Mount, including a silk map he had received from Caesar Otway, and when describing locations he suggests they look to these maps to gain an idea of where these places are. This tendency recalls Wordsworth’s interest in maps and guides, embodied by his guide to the Lakes which upon return from his Irish tour he sent to Hamilton for publication in Ireland. We might well therefore read through Wordsworth’s letters something akin to his own guide to Ireland. The ‘Re-Imagining Ireland with Wordsworth’ project explores that possibility. Drawing on Wordsworth’s Irish connections, and his letters in particular, the project presents Ireland through Wordsworth’s eyes, with a view to promoting an artistic understanding of Irish natural beauty whilst at the same time highlighting a cultural relevance of Wordsworth that may have previously gone unnoticed. 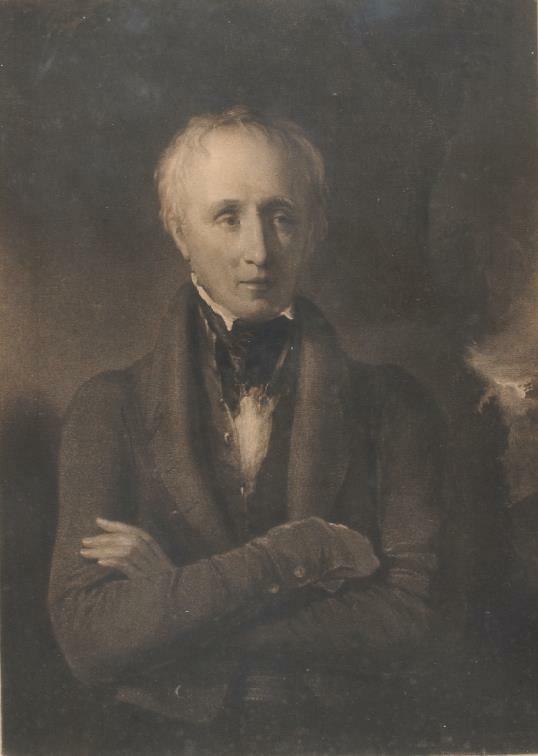 A travelling exhibition will follow his route through Ulster, accompanied by a range of events that will consider Wordsworth in multiple different ways and in varying Irish contexts. The collaborative project is a joint venture funded by the AHRC’s Northern Bridge Doctoral Training Partnership, the Graduate School of Queen’s University Belfast, and the Department of Communities of Northern Ireland, in association with the Wordsworth Trust. To learn more about the project, see our website, which includes a digital map of Ireland chronicling Wordsworth’s tour through his own words.